Visit the blog for more info, including a list of 2018 scholarships and recipients or to learn more about our 2017 scholarships. Scholarships are tax deductible donations and assist students with costs associated with higher education. These scholarships are easy to start and rewarding to give. We encourage all of our scholarship sponsors to provide eligibility standards and/or participate in hand selecting their recipient(s). Each spring we hold a special ceremony to celebrate student accomplishments and invite sponsors to meet their recipients. Here are a few reasons that scholarships are an ideal giving opportunity. • Local businesses may choose to award scholarships for a variety of reasons: to encourage study in their chosen field, increase their pool of qualified employees, or provide a community service. • Service organizations award scholarships each year that encourage volunteerism within the community and reward students for good citizenship. • Scholarships in the name of a family or in honor of a loved one. Scholarships are an incredible way to leave a legacy for a person or an entity. 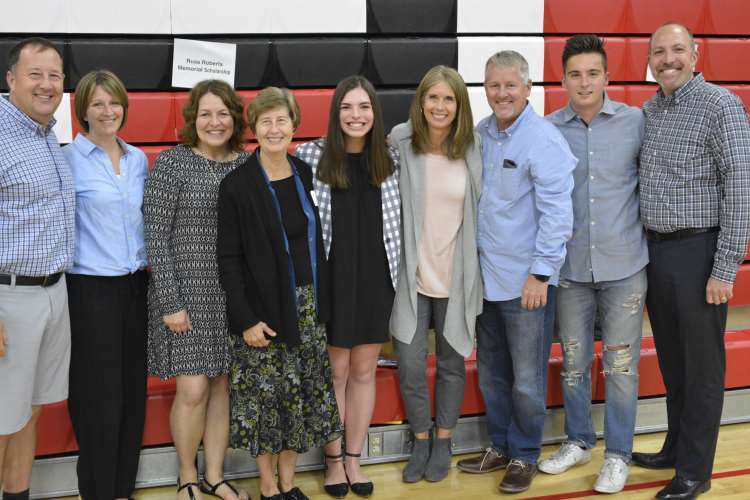 The Snohomish Education Foundation not only provides administrative support, it also awards several thousand dollars in funds each year to students. The Foundation can also assist with the creation and maintenance of endowments. Endowments are principal investments that self fund awards through earnings. Contact us today at 360.568.5292 or office@snoed.org to find out how you can sponsor your own scholarship and make a young person’s college dreams a reality, or to donate to this worthwhile Foundation.